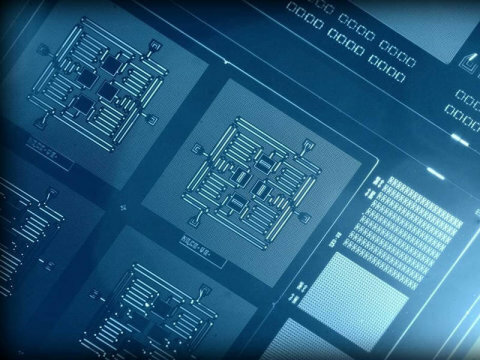 Quantum computers promise to revolutionize the future of computing. Scientists have now demonstrated for the first time that quantum computers do indeed offer advantages over conventional computers. They developed a quantum circuit that can solve a problem that is unsolvable using any equivalent classical circuit. For many years, quantum computers were not much more than an idea. Today, companies, governments and intelligence agencies are investing in the development of quantum technology. Robert Konig, professor for the theory of complex quantum systems at the TUM, in collaboration with David Gosset from the Institute for Quantum Computing at the University of Waterloo and Sergey Bravyi from IBM, has now placed a cornerstone in this promising field. Conventional computers obey the laws of classical physics. They rely on the binary numbers 0 and 1. These numbers are stored and used for mathematical operations. In conventional memory units, each bit -- the smallest unit of information -- is represented by a microscopic dot on a microchip. Each of these dots can hold a charge that determines whether the bit is set to 1 or 0. In a quantum computer, however, a bit can be both 0 and 1 at the same time. This is because the laws of quantum physics allow electrons to be in multiple places at one time. Quantum bits, or qubits, thus exist in multiple overlapping states. This so-called superposition allows quantum computers to perform operations on many values in one fell swoop whereas a single conventional computer typically must execute these operations sequentially. The promise of quantum computing lies in the ability to solve certain problems significantly faster. Konig and his colleagues have now conclusively demonstrated the advantage of quantum computers. To this end, they developed a quantum circuit that can solve a specific "difficult" algebraic problem. The new circuit has a simple structure: it only performs a fixed number of operations on each qubit. Such a circuit is referred to as having a constant depth. In their work, the researchers prove that the problem at hand cannot be solved using classical constant-depth circuits. They furthermore answer the question of why the quantum algorithm beats any comparable classical circuit: The quantum algorithm exploits the non-locality of quantum physics. Prior to this work, the advantage of quantum computers had neither been proven nor experimentally demonstrated -- notwithstanding that evidence pointed in this direction. One example is Shor's quantum algorithm, which efficiently solves the problem of prime factorization. However, it is merely a complexity-theoretic conjecture that this problem cannot be efficiently solved without quantum computers. It is also conceivable that the right approach has simply not yet been found for classical computers.